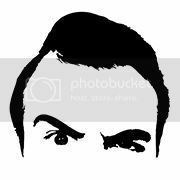 PaulGallant.Net: Mad Radio: On A Thursday! 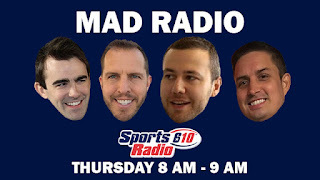 Mad Radio: On A Thursday! 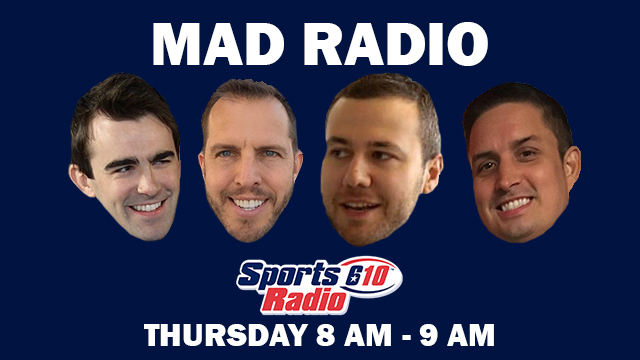 I'll be on Mad Radio with Mike Meltser, Seth Payne, and Landry Locker from 8 - 9 CT this morning on SportsRadio 610. Take a listen at SportsRadio610.com.